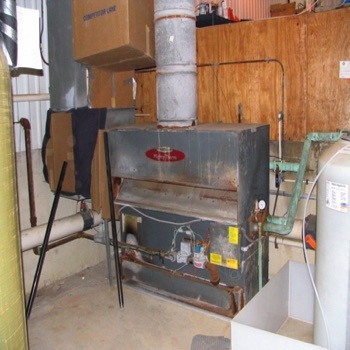 Photos of a heater replacement. 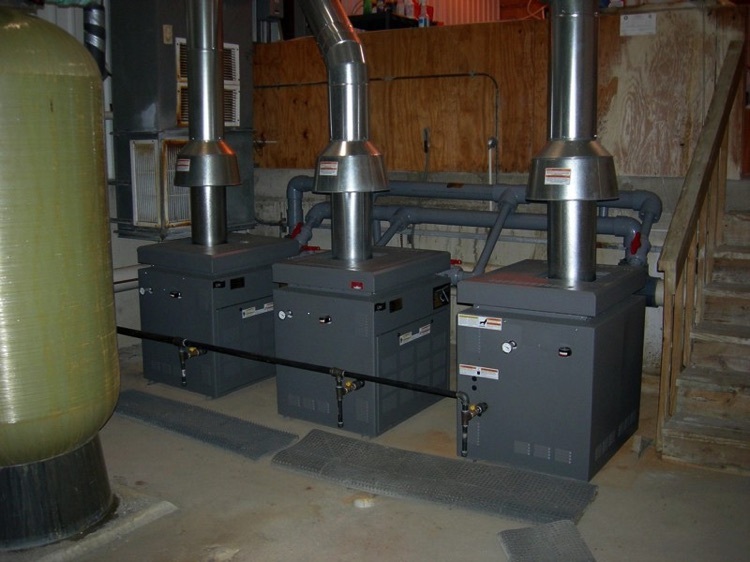 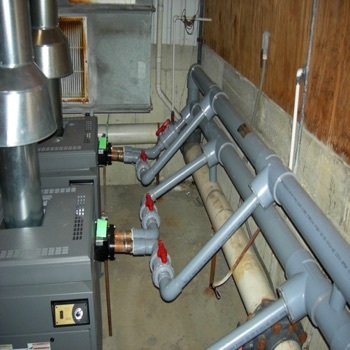 A 1.2 million BTU heater with was replaced with three 400,000 btu heaters. 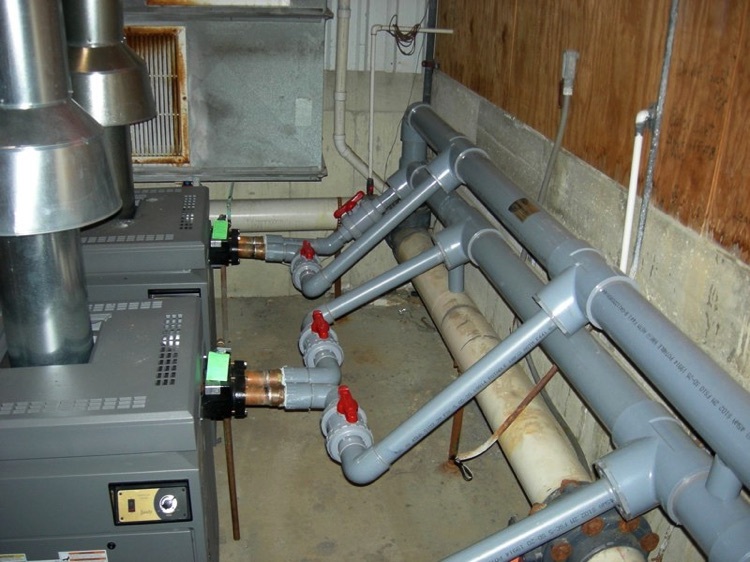 Fox Valley YMCA no longer has cold water if one heater fails since the other will still be working.